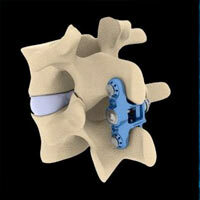 Axial lumbar inter body fusion commonly known as axial fusion is done for lower back. It is a minimally invasive spine surgery done for the lower part of the low back done through a small incision below the tail bone. Since there is very less muscular destruction and minimal blood loss compared to the traditional back surgeries the recovery is quick.